TalentEgg is Canada’s most popular job board and online career resource for students and grads. Whether you’re graduating and looking to land your dream job, or you’re a current student looking for the perfect internship or co-op, TalentEgg has everything you need to get crackin’. ScholarshipsCanada.com unlocks over $160 million worth of scholarships, bursaries, grants and student awards. Sign-up for a free account and get matched to unique opportunities for students across all schools, levels of study, fields of study, extracurricular activities and much, much more. SchoolFinder.com is a trusted resource to explore post-secondary options with detailed information on schools, programs, prerequisites, costs, and deadlines. With a dedicated Study Abroad section, our comprehensive directory provides information about universities, colleges, and graduate schools for institutions around the world. Sign-up for a free account and request information from institutions, be matched to potential schools, compare program offerings, and much more. Metro News is Canada’s most read national daily newspaper brand and the first national daily to publish in both official languages. Metro News is available in print, online and mobile with local editions published in Halifax, Montreal, Ottawa, Toronto, Winnipeg, Calgary, Edmonton and Vancouver. Metro News targets youthful, active, metropolitans through traditional newsprint, online and mobile platforms as well as through proprietary iPhone, iPad and Android apps. Metro News brings relevant local daily updates and unique global inspiration at the right time and in the right format to enhance our readers’ quality of life. The Miami Herald Media Company is the most credible and dynamic source of news, information and innovative marketing solutions in South Florida: its media platforms include: The Miami Herald, el Nuevo Herald, miami.com, and miamiindulge.com. The MiamiHerald.com and elNuevoHerald.com are South Florida’s most popular news, information and entertainment websites, with content that reaches local, national and international audiences. Plus, both attract the most educated, affluent and professional local adults online with a combined digital reach of 18.1 million and 1 million print readers located in South Florida, the Caribbean, Latin America, and around the globe. 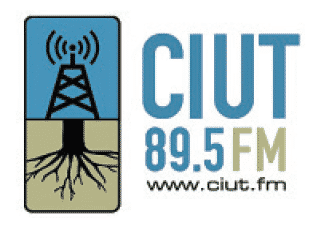 Firmly rooted in the University of Toronto community, CIUT is Toronto’s preeminent, listener-supported presenter of leading-edge music and spoken-word programming since 1966. 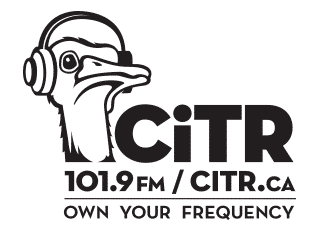 CiTR 101.9 FM is the broadcasting voice of the University of British Columbia (UBC), bringing alternative programming to over two million listeners from Bellingham to Squamish, Point Grey to Langley. CITR is student-run and supported by the community.